The appropriate selection of lighting equipments and accessories is very crucial to any TV production. There are two generic categories of instruments: spot lights, simply called spots and fill lights, called fills, or sometimes floods. Spot lights/spots: Spots are found in three main varieties, the most common and flexible is Fresnel. The lighting equipment is named after Augustine Fresnel, the inventor of the instrument’s concentric circled lens, which is responsible for conversion of the light into a soft edged beam. 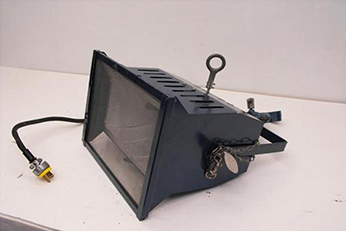 Within the Fresnel, the lamp and the reflector position are adjusted by a crank and screw system. This allows the light beam to be made broad or narrow as desired. Most Fresnels use the 3200 deg.K quartz lamps. 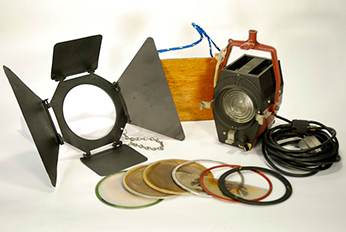 However, HMI lights also come in the operationally flexible Fresnel configuration. The second type of lensed spot light is the ellipsoidal (see fig.11), sometimes called aleko light. 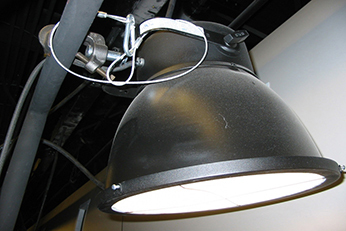 The ellipsoidal spot light creates a narrower, more precisely shaped beam than the pinned Fresnel. 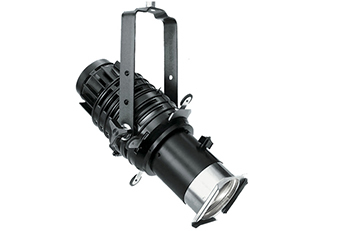 The ellipsoidal primary advantage is its ability to throw a sharply defined, intense light beam across a relatively long distance. The ellipsoidal features beam shaping “leaves” within its inner mechanism, which can project a great number of shaped beams of light, including sharp or softy edged circles, squares and other geometrics. Ellipsoidal spotlights permit the insertion of cookies into the instrument to project a wide variety of patterns on curtains, floors and walls. Fig.11: Images of Different Types of Spot Lights. Ellipsoidal are employed frequently in theater and stage productions but see more limited application in TV production. 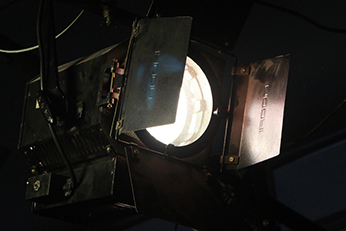 Unlike the relatively bulky Fresnel’s and ellipsoidal, open front spots have no lenses. 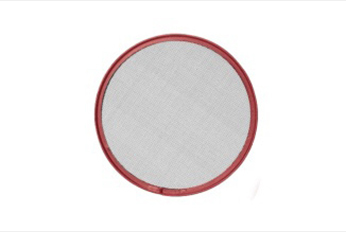 This reduces their weight and makes them ideal for field productions with small crews. Sometimes called bashers, open front spots, like Fresnel’s, can serve both as spots and fills, but they don’t focus quite as efficiently as Fresnel’s. Open front spots are relatively inexpensive. 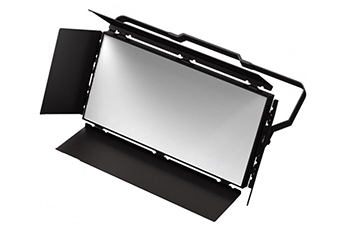 A portable kit containing three open fronts cost less than two Fresnel’s or one HMI light. 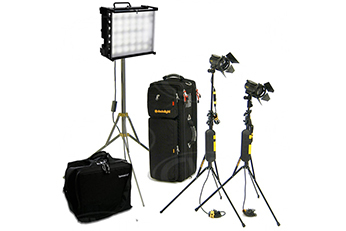 Lighting manufacturers market many excellent lighting kits, designed around open front spot and fill instruments, with lightweight, collapsible stands and other ingeniously designed accessories. Fig.12: Visuals on Different Types of Accessories for Spot Lights. Fill lights or fills gives diffused lighting. Tasked with providing fill and base light, plus some background and side lighting, fills come in five main varieties as show in the figure below. Fig.13: Different Varieties of Fill Lights. Both Fresnel and open front spots sometimes can serve as fill light in a pinch. However, the Fresnel is designed primarily for spot lighting, so the broad, scoop, or softlight is the usual choice for fill lighting. Fig.14: Visual on how reflectors are used to redirect light and serve as fill light. 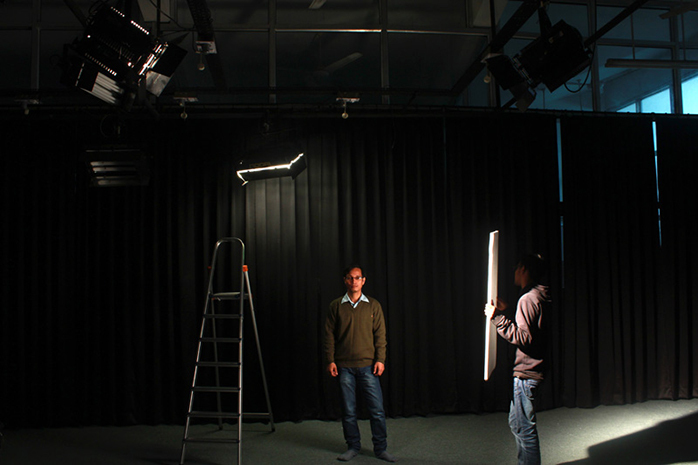 In the television studio, various types of spot lights and fill lights are suspended from the ceiling (see fig.15). The lights are too heavy and bulky to be used outside. 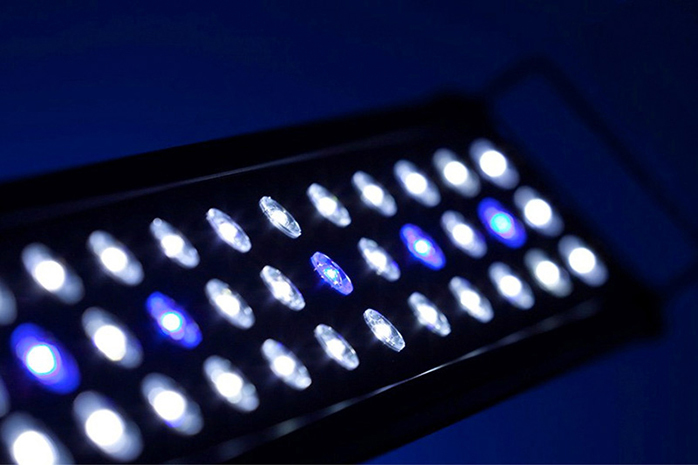 Most EFP’s (Electronic Field Production) use portable lighting packages that consist of several small, efficient lighting instruments that can be plugged into ordinary electrical outlets. Most portable instrument can either be mounted on collapsible floor stand or clipped on to doors, windowsills or furniture. 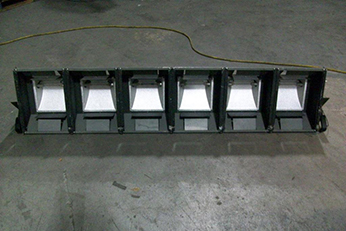 These instruments generally operate as flood lights but can be adjusted to function as spot light as well. 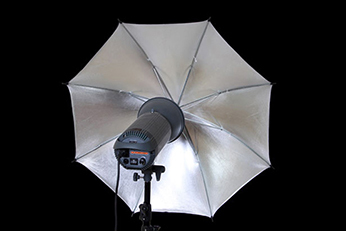 To obtain more directional control, EFP lighting packages include a number of small spot lights, which can be diffused with a collapsible diffusion tent often called soft box. In general, television lighting has less contrast between light and shadow areas than do film and theatre lighting. 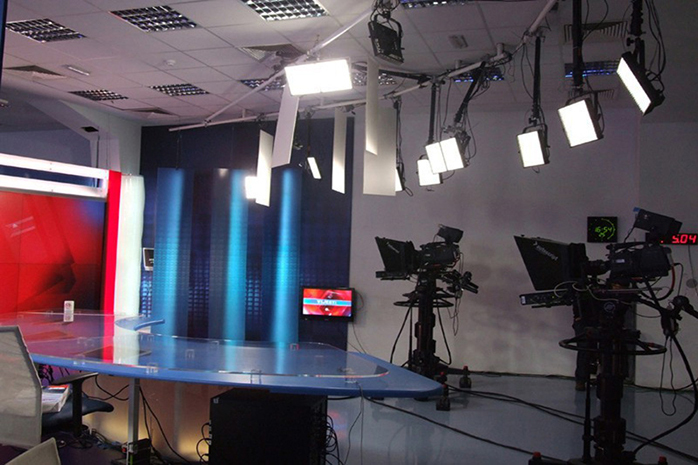 Diffused light is therefore used extensively in television lighting, especially on news and interview sets, for game shows and situation comedies and in many field productions. Fig.17: A Typical ENG Portable Light Kit.